Item 4: We asked for the data and methodologies used to support the ridership numbers between London and Kitchener. Item 4: Please provide the data and methodologies to support ridership between Kitchener and London. To avoid a very high per ticket subsidy, the Kitchener to London section of the HSR project must generate high passenger load factors. It is important that ticket revenues and other economic benefits exceed the direct and indirect costs of this project. Ridership projections must consider the fares that passengers are willing to pay. The Union Pearson Express (UPX) is a very good example of what happens when there is a failure to consider what passengers consider a reasonable price. UPX was originally forecast to have 6,500 riders per day at a fare of $25.70. At this fare, UPX actually had an average of about 2,000 riders per day and UPX was forced to drop the fare to $12.00. This resulted in an increase in ridership to about 10,000 per day. The average provincial subsidy since the start of UPX is $52.26 per trip. At the current fare of $12.00, the subsidy is $11.00 per trip. Based on a fare of $12.00 per trip, UPX will never pay for itself. Many factors affect the potential ridership for rail including cost (fare and parking), frequency of service, and the ability to connect with other modes of travel (i.e. subway, LRT, BRT, etc.). For Toronto in particular, the distance from Union Station to the destination is critical. For example, to get to Sunnybrook Hospital from London by car will take about 2 hours and 15 minutes (current projection by Google including congestion on the 401). By train, it will take at least 3 hours (110 minutes for the train, 16 minutes for the subway and 22 minutes for the bus, plus wait time, plus the time to drive to the station and park). Item 4 Records – The Steer Davies Gleave Ridership Forecasting Report contains, dated March 2016 is out of date as the government released a Request For Bid for “a detailed and comprehensive HSR forecasting framework study for the corridor”. The updated report was never provided to us. What are the results of the new study and why was it withheld? The obsolete report that was provided is meaningless. Current demand is based on VIA Rail service as it is today. 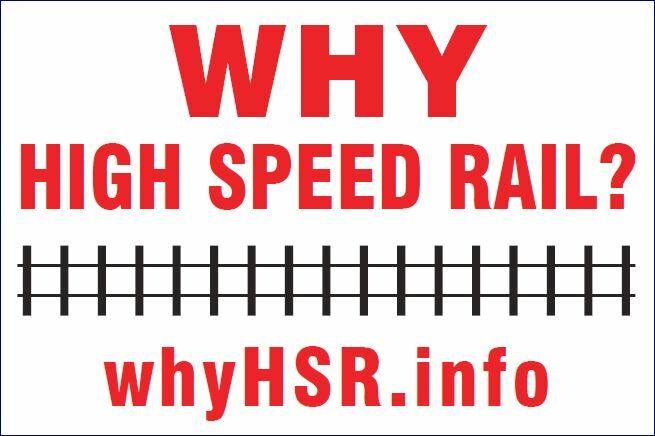 It should compare ridership on VIA Rail that is separated from freight, stops at the same number of stations as HSR, has improved rolling stock, and has the same schedule frequency (i.e. HSR will have about 56 trains, each way, per day verses 2 per day for VIA Rail). The report says that in 2012 there were 50,000 trips per day on the 401 between London and Kitchener and 100,000 per day between Kitchener and Toronto. However, the 2016 Traffic Volume report from the Ministry of Transportation shows the Annual Average Daily Traffic at London as 35,700 vehicles (including trucks). It is unknown how many actually go to Kitchener or Toronto. Many of these vehicles will go to other destinations (Sarnia, Windsor, Hamilton, Montreal, etc.) as well as destinations in Kitchener and Toronto that are not accessible from HSR. Instead of the 50,000 trips per day between London and Toronto in 2012, there were substantially less than 35,700 in 2016. This makes the long-term projections of ridership between London and Kitchener (and Toronto) very suspect. The projected HSR fares are stated to be 20% higher than the existing VIA Rail fares. The report estimates that the HSR fare between Toronto and London is $53.00 (one way). The cheapest current VIA Rail fare (not including taxes) is $36.00 but there are a limited number of seats available and they are usually sold out. The current price for an economy ticket is $75.00, this would mean that an HSR ticket from London to Toronto will be $90.00 each way ($103 with taxes). The report fails to take into account the impact of ticket prices on ridership. It looks very much like the Union Pearson Express ridership estimates all over again. From the information provided it is impossible to determine the volume of automobile traffic between the discrete points of Toronto, Kitchener and London. Consequently, using this data as a basis for HSR ridership makes the ridership forecast invalid. ← Item 3: Why were rural communities excluded from the consultation process?